Specialized in fabrication and export of a wide array of clean rooms, air showers, pass box, air curtains, laminar flow benches, clean room garment cubicle, air cooling systems, module etc. N. S. C Electronics established in year 2001, we are now leading manufacturer and supplier of Air Curtains and Static and Dynamic Passbox. 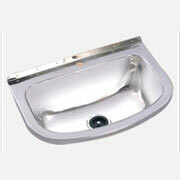 we are using quality raw material such as steel, aluminum and plastic. We are one of the leading manufacturer and supplier of industrial products, air showers, fume wood chambers, auto clave, starry pots, air curtain, pass boxes, SS & MS trolleys, single phase double head machine, single head machines, elevator, cleaning machine (single phase), triple head single motor, single phase single head machines, double head deluxe machines, industrial racks, laminar air flows. Alfa makes Static and Dynamic Pass Boxes meeting the customer specific requirements and to the highest standards. Option of choosing the type of pass box depends on the containment level and transfer of material from one class of cleanliness to other class of cleanliness. We also supply the pass boxes suitable for flame proof areas.